We value their feedback about the remote and that they got it integrated into their ADAPT software ahead of shipping. This shows PanTech Design’s continued commitment to Crestron and our CTP’s. 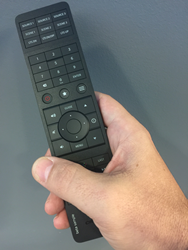 Crestron dealers can immediately start using the Crestron HR-310 remote via Pantech Design’s ADAPT programming software, courtesy of exclusive early access to the remote for testing granted by Crestron Electronics. “We were happy to provide PanTech Design with an early release of the HR-310," said John Clancy, Vice President for Residential at Crestron Electronics. "We value their feedback about the remote and that they got it integrated into their ADAPT software ahead of shipping. This shows PanTech Design’s continued commitment to Crestron and our CTP’s. The team of Crestron-certified programmers at PanTech Design vigorously tested the HR-310 remote to ensure that the integration worked seamlessly and reliable for users of the ADAPT software. Programming the remote is a straightforward and simple process, exactly the same as the process for programming an existing HR series remote. Crestron integrators who would like to learn more about how the ADAPT software can streamline the process of programming residential Crestron systems can see a software overview by visiting pdadapt.com or call (817) 898-0339 to schedule a personalized demo. Headquartered in Grapevine, Texas, PanTech Design is a veteran Crestron Services Provider and creator of the Adapt Software Suite, a revolutionary set of tools that simplifies programming and configuring Crestron control systems. Using ADAPT, systems integrators can easily program and maintain residential systems, reducing programming and support time by at least 50 percent. To learn more about p | d adapt, visit pdadapt.com today. Our products are backed by more than 90 fully-staffed offices that provide 24 x 7 x 365 sales, technical, and training support across the globe. In addition to its World Headquarters in Rockleigh, New Jersey, Crestron has sales and support offices throughout the U.S., Canada, Europe, Asia, Latin America, and Australia. Discover Crestron by visiting http://www.crestron.com.